The School was shortlisted in recognition of the amazing work it does in our local community through the Merchants in the Community Project and School-wide fundraisers led by the School Council. 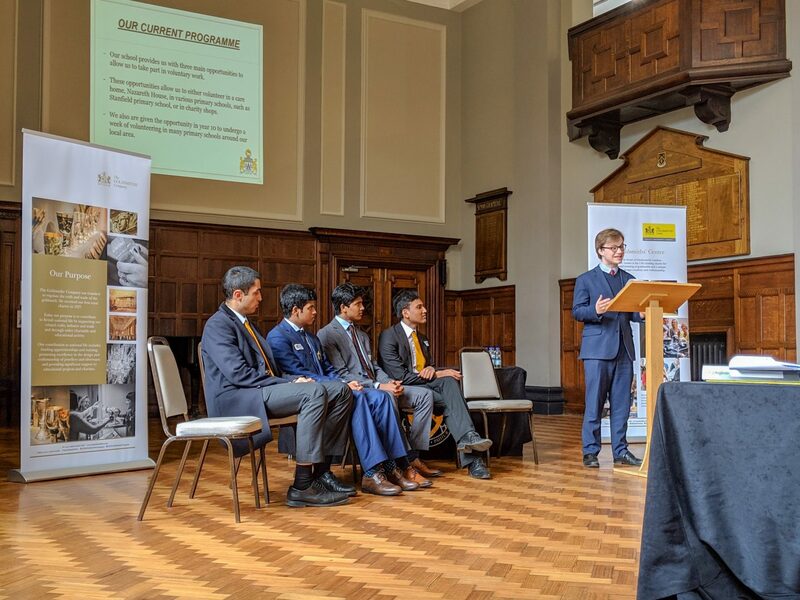 Five of our Upper Sixth boys were asked to give a presentation on the programme in front of a panel of five judges, before answering questions on the impact of the programme in the local area. The judges praised our team for their presentation and for their commitment to supporting the local community. The judges commented that our pupils had clearly benefitted from the learning and development opportunities provided during the programme. The successful regional finalists will be invited to the magnificent Goldsmiths’ Hall in London for a ceremony and a chance to showcase their community engagement activities. Winning schools will also receive financial rewards to enable the continuation and expansion of existing programmes. 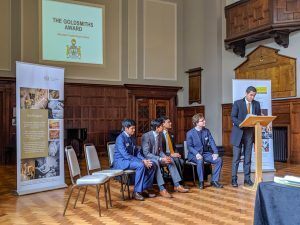 The Goldsmiths’ Company has launched its first award for Community Engagement. 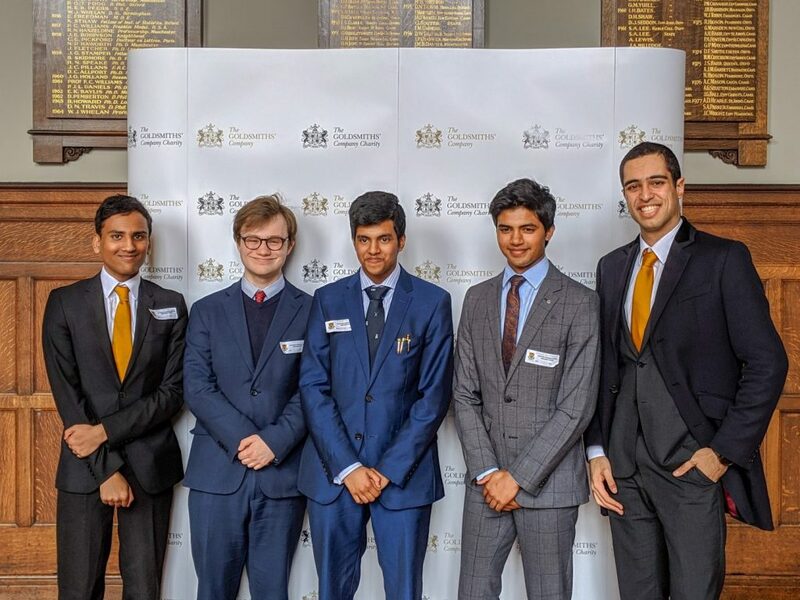 The awards, which are student-led, celebrate the positive impact schools have through charitable and voluntary initiatives within their local communities.